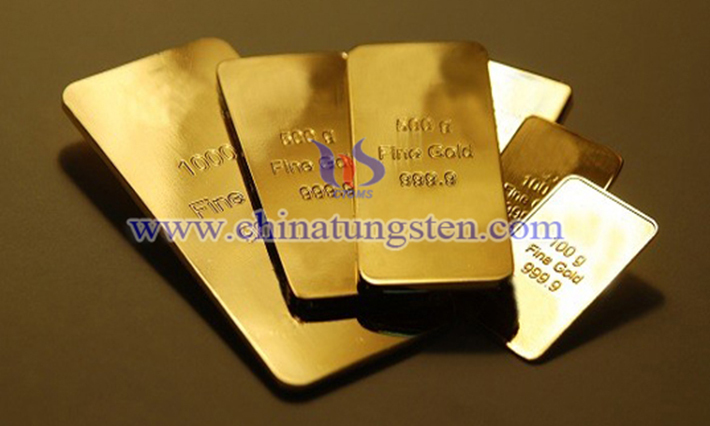 10OZ tungsten gold plated bar price is 398.00USD/PC on Apr. 8, 2019. Love is an eternal topic; people will use a number of ways to express their feelings and loves to each other, to commemorate their beautiful love anniversary. The tungsten gold plated bar for love anniversary is that to plate a gold layer on the surface, to show that love is as beautiful as gold. And the high density and good wear resistance of tungsten imply that the meaning of love can last forever strong. We can engrave some meaningful words or patterns such as the love anniversary date, both names and birthdays on the tungsten bar, so as to make it become the most powerful witness to your love. 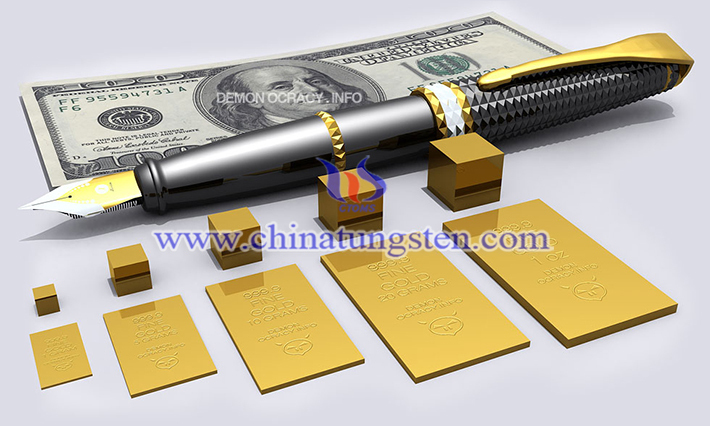 1KG gold plated tungsten rod price is 350.00USD/PC on Mar. 28, 2019. Tungsten gold bar for foundation commemoration is a commemoration for the memory of the foundation. Foundation is a kind of culture, especially in China. There will be a foundation for the project, a building or the construction of a monument as foundation commemoration should be one type of that. Choosing tungsten gold plated bar works as the souvenir remarks that significant time, and also implies the scale of the corporation or project. The unit weight, engraving, size, style, gold type would be customized. 1KG gold plated tungsten rod price is 350.00USD/PC on Mar. 05, 2019. As the name implies, summit is a kind of top-level international conference. To commemorate this summit held with great significance, you can choose gold plated tungsten rod, which has exquisite appearance just like real gold bar, and to be engraved the topic and name of the summit in the rod’s surface, so as to make it souvenir. In order to be more personalized and higher sentimental value, you can also respectively engrave the names of world leaders, the participation time, and the place on the surface. 1KG gold plated tungsten bar price is 385.00USD/PC on Feb. 21, 2019. Holding birthday celebration for the elders is the thing that as important as Chinese traditional Spring Festival, so sending the rich meaningful gifts to express our filial piety is obviously an important thing for respecting the elders. Gold plated tungsten bar for birthday celebration is usually engraved words such as "longevity and health", "Happiness as immense as the Eastern Sea longevity", "evergreen" and so on, for adding a rich sense of culture of blessing. 1KG tungsten alloy gold bullion price is 455.00USD/PC on Jan. 29, 2019. In China, the modern adult ceremony is a ceremony held for men and women who aged more than eighteen years. In order to commemorate this special day for their children, most parents will send some meaningful gifts to their children on that day. The tungsten gold bullion, which engraved some profound meaningful words such as having a bright future, can be used as adult ceremony gifts to children on adult ceremony. The blessing words and wishes for the bullion can be customized according to the custom’s needs. 1KG gold plated tungsten bullion price is 385.00USD/PC on Jan. 02, 2019. Gold plated tungsten bullion has good wear resistance, corrosion resistance and high density, and feels like gold in general, so we can engrave some meaningful words or texts on the surface, such as the wedding date and the bride and groom's names etc.. Not only can let the participants remember the wonderful moment, but also can be remembered forever remember. This kind of bullion can be customized according to different requirements, the weight ranges from 330G to 1KG. 1KG tungsten gold plated bar price is 454.00USD/PC on Dec. 26, 2018. Tungsten gold plated bar is bar made of tungsten alloy and plated by gold on the surface. They are widely used as substation of gold bar as memento. The bar has the properties of tungsten, which are high density, durable, hardness, oxidization resistance, and weak radioactive. What’s more, it is environmental-friendly, which has been a reason for the popularity of people all over the world. 10OZ gold plated tungsten bar price is 390.00USD/PC on Dec. 07, 2018. It’s a novel way of showing respect to your teacher by sending gold plated tungsten bar as a souvenir on Teacher’s Day, because the bar can not only be used as collection but also can be used as a paperweight while collecting the exam papers. Tungsten bar has good texture, good abrasion resistance, as well as the high cost-performance; its size can be customized according to requirements. 1KG gold plated tungsten nugget price is 385.00USD/PC on Nov. 30, 2018. Its surface is plated with 0.3 microns or 0.5 microns to be bright and beautiful as real gold. Golden nugget is not real gold, but gold substitution. Engraved with company logo, Arabic numerals, English letters or other patterns, the nugget can be regarded as gift for VIP customer, engraved with meaningful date or name as present for your lover, best friend, classmate or be presented in the exhibition.